Another Scotch whisky is coming to America: Advertising? He’s going to need advertising for that challenge. NEW YORK, NY: Stoli Group USA is set to enter the single malt Scotch whisky category, striking a deal to handle the portfolio of Scotland’s Loch Lomond Group in the U.S. market. New York-based Stoli will begin selling the Loch Lomond range stateside on January 1. 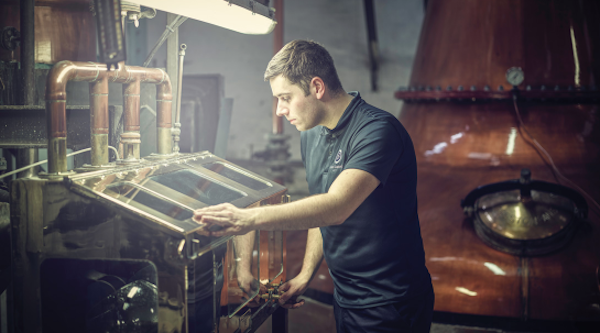 Loch Lomond’s namesake Highland single malt—made at the company’s distillery in Alexandria, about 45 minutes northwest of Glasgow—includes an Original, 12-year-old and 18-year-old. Current U.S. importer A. Hardy has been selling Loch Lomond from about $26 at the low end to $100 at the high end. The portfolio also includes the Glen Scotia single malt from Campeltown. Glen Scotia, which has been selling at around $50 and up in the U.S., features a host of different expressions including Double Cask, 15-year-old, Victoriana, 18-year-old and 25-year-old. Billed as appealing to fans of maritime-influenced island malts from the West of Scotland, Glen Scotia is one of only three remaining distilleries in Campeltown (the others being Springbank and Glengyle). Stoli Group sees that Campeltown provenance—and the opportunity to market Glen Scotia as “the Victorian malt,” harkening back to an era when Campeltown had dozens of distilleries—as a key differentiator for the brand. Cox says that while the Loch Lomond portfolio will be available nationally, Stoli Group intends to focus on the off-premise in 15 key markets around the U.S., including New York, California, Florida, Texas, Illinois, New Jersey and Pennsylvania. The portfolio is currently under 10,000 cases in the U.S., but Cox sees plenty of opportunity for expansion, adding that Loch Lomond has ample supply with which to build its U.S. profile. For Stoli Group, the Loch Lomond deal marks a continuation of the company’s diversification drive. Known for its flagship vodka brand, which sells about 1.7 million cases annually, the company’s U.S. portfolio has grown to also include Bayou rum, Kentucky Owl Bourbon and the forthcoming Cenote Tequila, which will debut early next year.